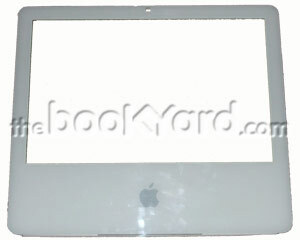 Used, A-grade front case/screen surround from an iSight equipped 17" CD and 1.83Ghz C2D Intel iMac. This unit does not include the iSight camera, cables, hinge or leg. This is a used part taken from a recycled Intel iMac.